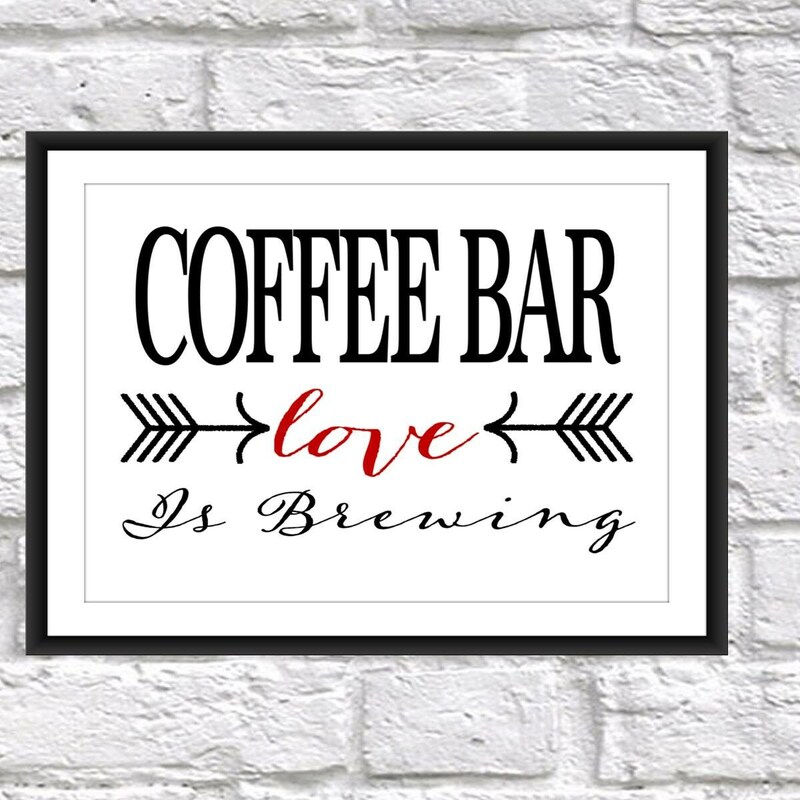 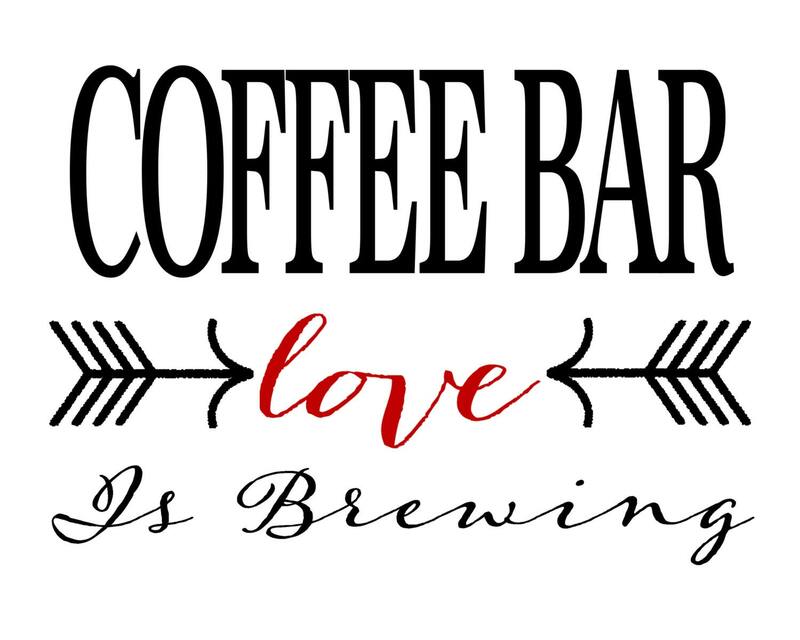 Coffee Bar - Love is Brewing Cute print for any coffee lover's kitchen. 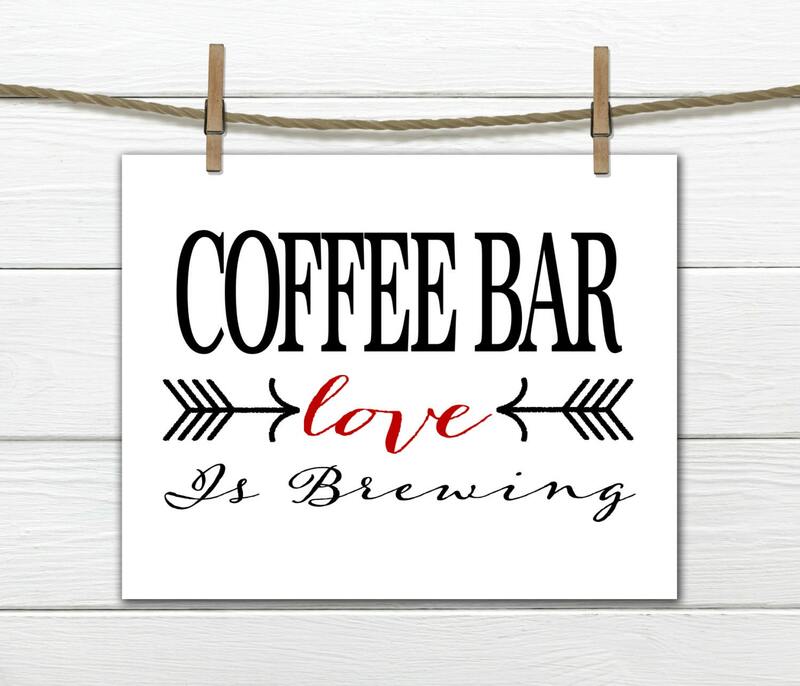 Also, works well for receptions & parties. 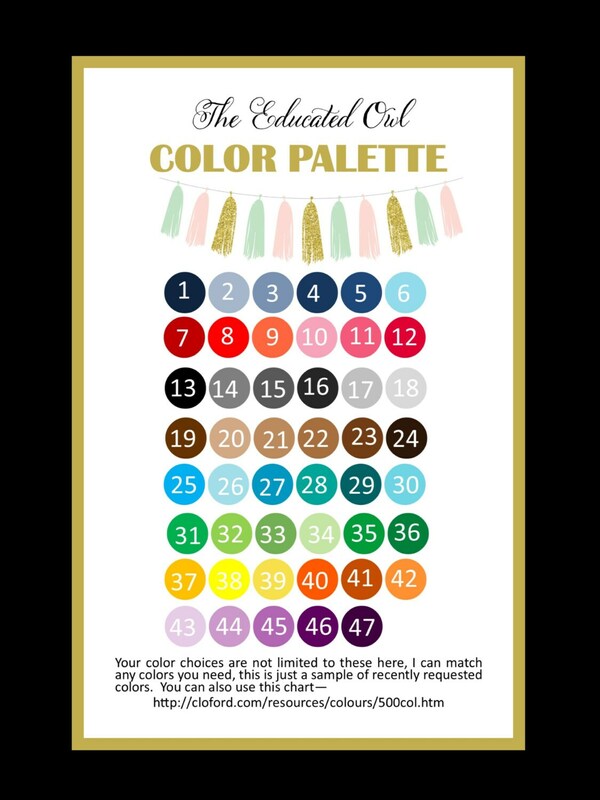 AT CHECKOUT PLEASE LET ME KNOW YOUR COLOR CHOICES.